Beach ceremonies and receptions don’t have to be barefoot affairs. 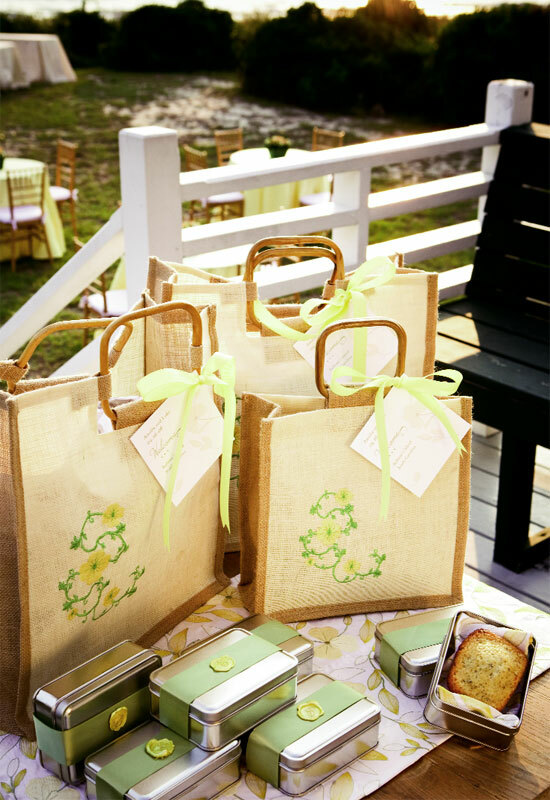 Take this sweet but sophisticated reception at a Sullivan’s Island beach house, for instance. 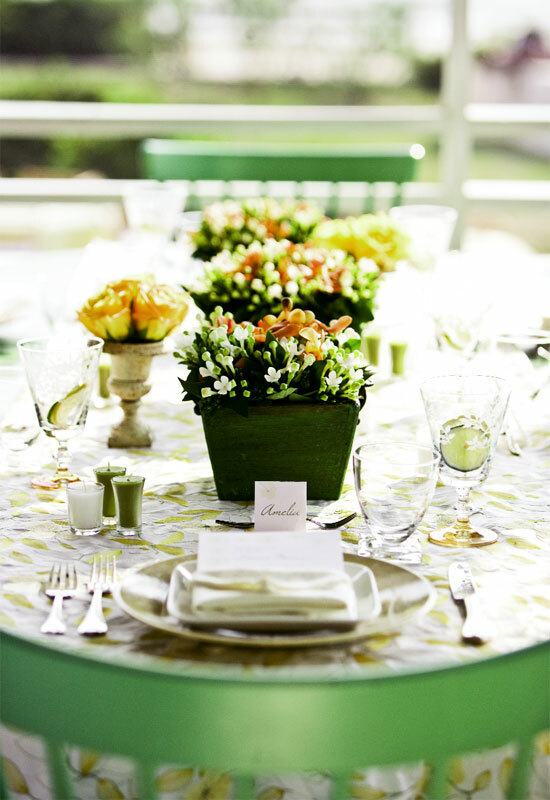 Here, WED's Katie Huebel and Ellen Robinson conspired to create a uniquely Lowcountry party that took its cue from the shabby chic style of a green, breeze-filled beach house, and an elegant silk fabric embroidered with yellow flowers that echoed blooms growing on the nearby dunes. 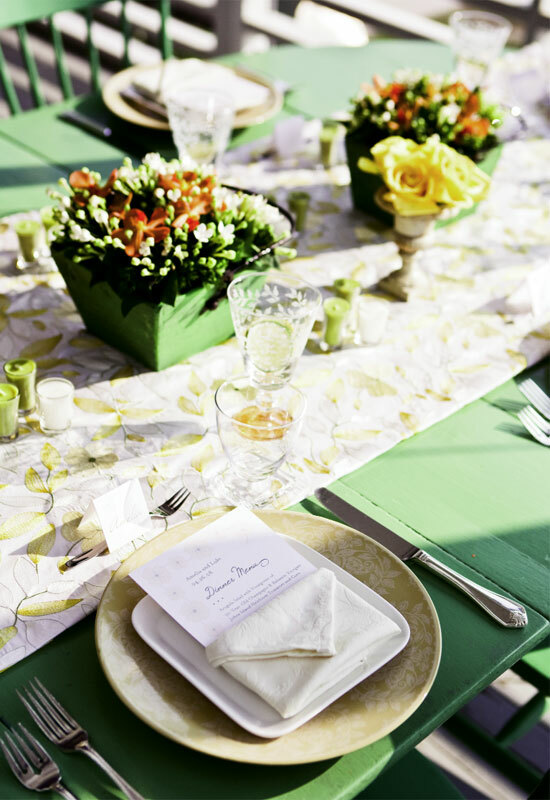 Using the motif from the patterned floral fabric, invitations were decorated with yellow flowers and tied off with a modest grosgrain ribbon to complement the casual setting. 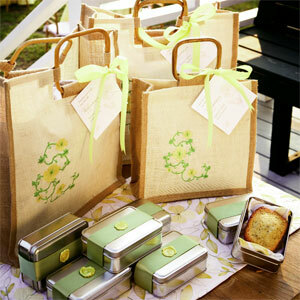 Burlap totes embroidered with yellow flowers and stuffed with local treats became handy welcome bags for guests. 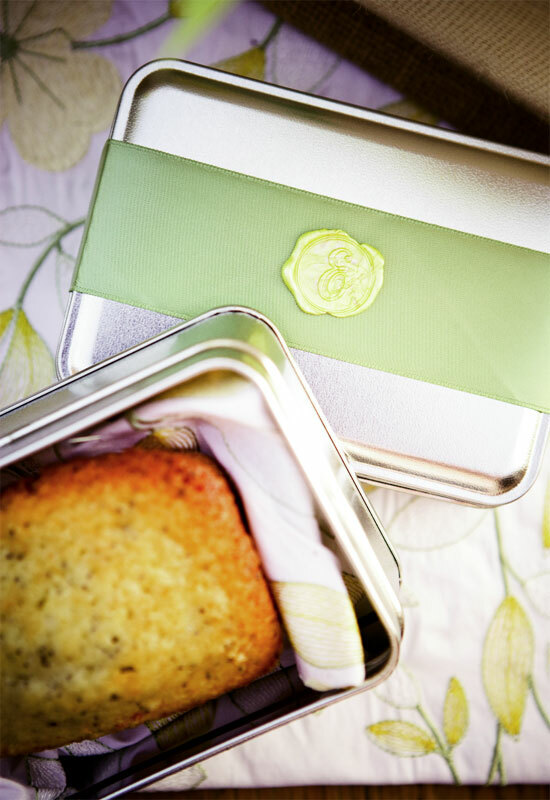 And to add a homespun touch to the end of the night, Katie and Ellen popped mini lemon poppyseed loaves into tins belted with a pale green ribbon and sealed with a wax stamp bearing the initial of the couple’s surname. When working with a location as magical as a seaside cottage, you need only accent the area’s existing natural beauty. 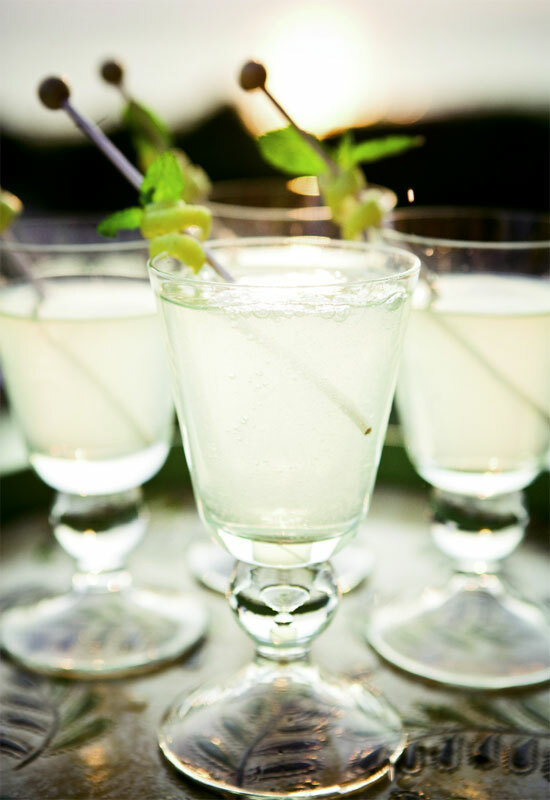 Given that, and since the reception’s Sullivan’s Island location epitomizes old-time Lowcountry style, Katie and Ellen designed the fête to have a relaxed, vintage look with a contemporary twist. 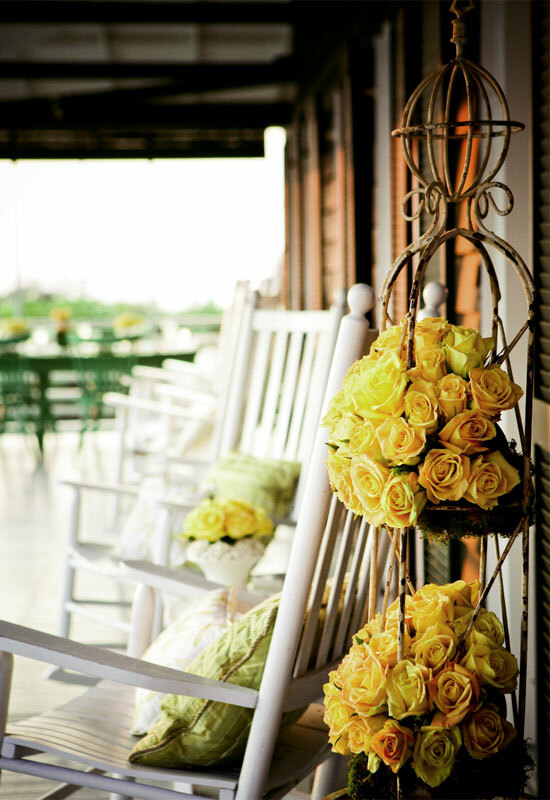 That meant cushioning weathered wicker chairs with custom-made pillows of their favorite silk floral fabric, dressing sun-bleached porches with whitewashed iron vessels filled with antique yellow roses, and topping off gently worn green dining tables with elegant runners and a host of candles and bouquets. 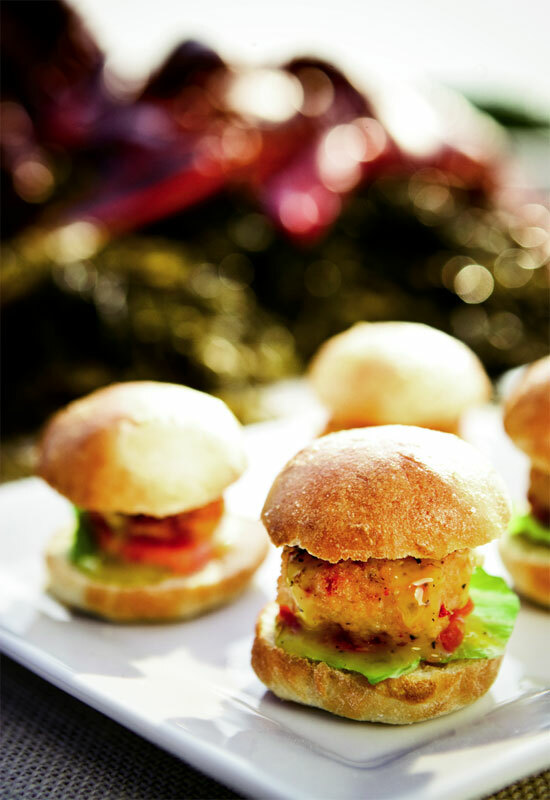 Maximizing interaction among the small guest party, playing up the season, and celebrating the seaside location each influenced the colorful menu. 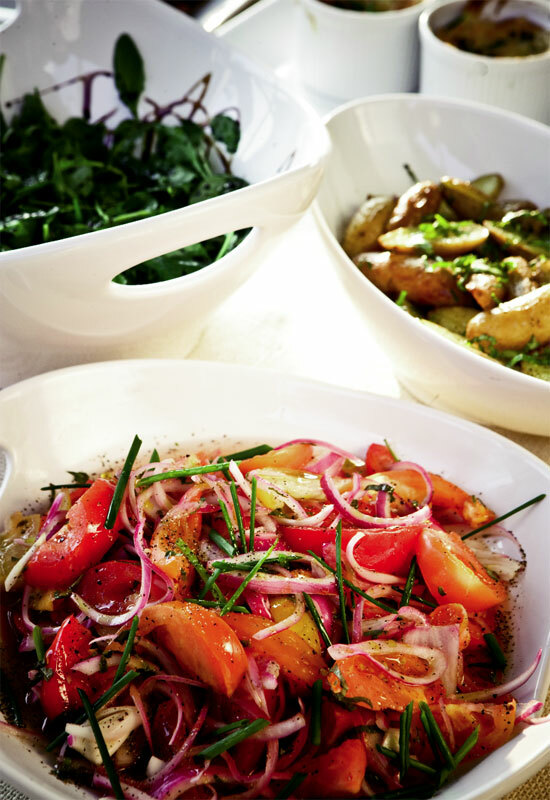 And since Katie imagined wedding goers would retreat to the screened-in porch for a fun, family-style (or passed dish) dinner, heaping vessels of locally raised vegetables also played a starring role. 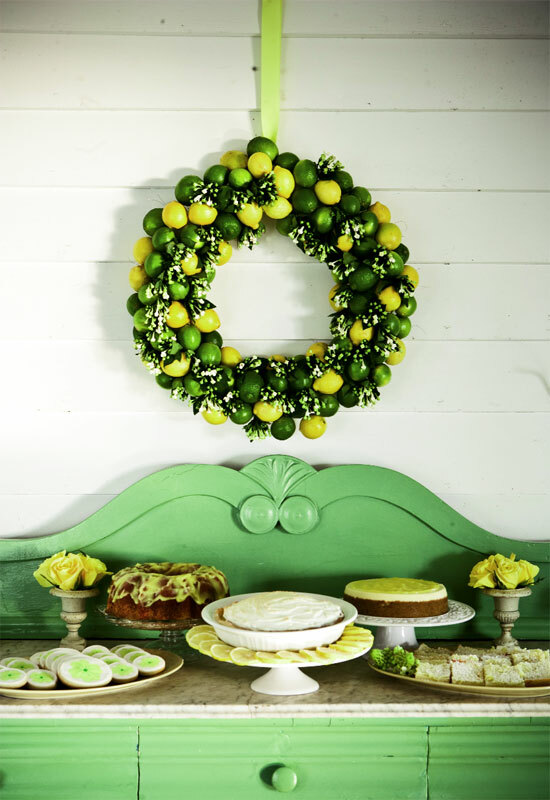 To continue with the casual, colorful theme, Katie and Ellen skipped a traditional wedding cake and instead loaded a sideboard with lemon desserts. “There’s something inspirational in being different,” says Katie, who opted for just that and succeeded tenfold.